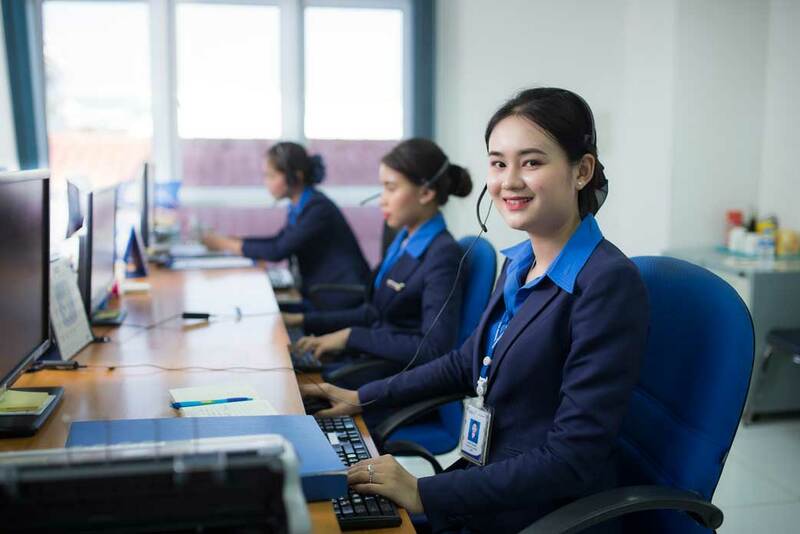 As little as one year ago, Lao Airlines customer service representatives were the some of the world’s best multi-taskers. From their small office in downtown Vientiane, the harried airline staff were frantically receiving walk-in enquiries, answering phone calls and emails, and booking flights all around the world. A rise in ticket sales meant the two or three landline telephones registered by Lao Airlines were jangling continuously, and not enough calls could be answered in time. “We were receiving too many calls to be able to cope, and so we decided it was time to set up a professional call center,” says Khounphon Philakone, Deputy Director of the Commercial Department. A deal was struck with ASEAN Contact Center, a Canadian-Lao company specializing in call center systems, to establish a professional and international standard call center at the Lao Airlines office. Dedicated operators would now be placed in charge of all calls, and a special number chosen: 1626. “After only three months of introducing the new number we were receiving up to 300 calls per day,” says Khounphon. “With eight full time operators staffing the phones, we take calls from within Laos and all around the world,” he says. Not surprisingly, most of the enquiries are about air ticket prices, routes and flight vacancies. Lao Airlines also takes payments by phone, including credit card payments, while many local customers have begun taking advantage of the BCEL One smartphone app to transfer funds electronically. “We aim to stay one step ahead, and so in future we hope to operate a 24-hour hotline and add a live chat function to the Lao Airlines website and mobile application,” says Khounphon.